One thing Empire doesn’t have enough of is rivalry of the non-sibling variety. Okay, sure, there are also people outside the Lyon family trying to take them down, but we haven’t seen quite enough rap battles on the show yet. Well, aside from that underground showdown between Jamal (Jussie Smollett) and that homophobic rapper. But whatever, the repeated inclusion of such themes and scenes is to be expected on a show about a dynasty that would be crumbling from within were it not for Cookie (Emmy nominee Taraji P. Henson). The family will encounter multiple outside threats in season three, but it looks like the show is setting up a rather personal for Hakeem (Bryshere Y. Gray). 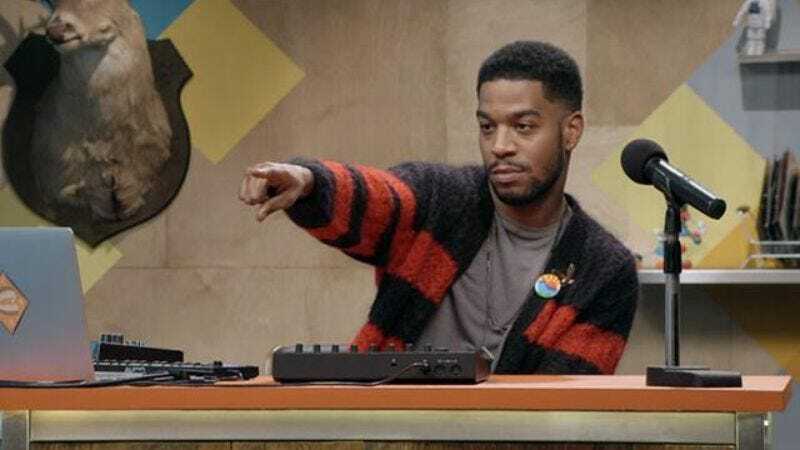 Entertainment Weekly reports that Kid Cudi has been cast as a rival for Hakeem’s stardom pretensions and an ex-girlfriend’s affections. The erstwhile Comedy Bang! Bang! bandleader will play Gram, “an independent musician” who’s taken up with Empire artist Tiana, who doesn’t seem to be over Hakeem. We’re sure the showdown will be handled in the glitziest fashion possible.